We were delighted to be approached by ISO Energy to help them with a client’s project for an off grid powered home. 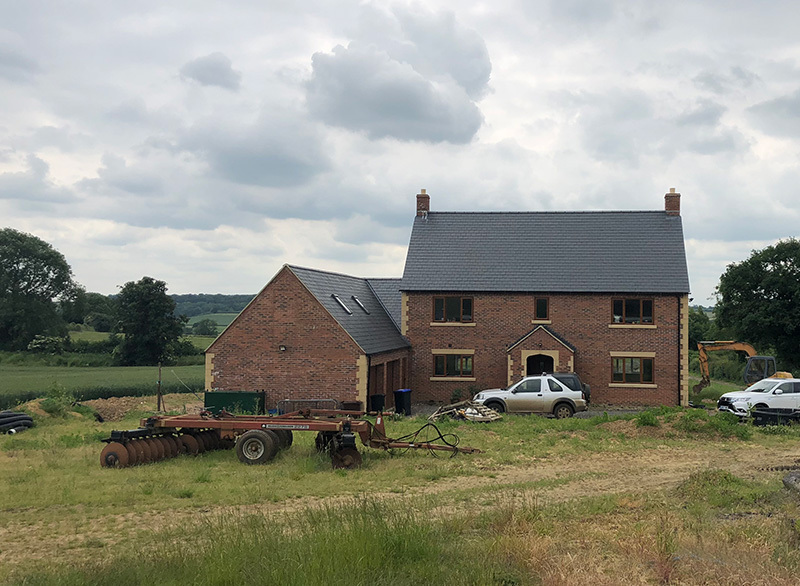 The farm near Daventry was well established for arable and cattle farming but the owner had always held a vision of building a house there as well. Once the planning was established it soon became apparent that a grid connection was going to be expensive, so he started to investigate his alternative options and chose ISO Energy to help him with this. ISO Energy are a leading installer of ground source heat pumps and other renewable energy systems - but for this client they needed a complete off grid power source to ensure the client had all the power they needed. They were looking for a “plug and play” solution that would supply electricity for the house and work alongside the other elements they were putting in place. After consultation and a review of the site with ISO Energy, the Energy Solutions’ Off Grid team recommended the EasyGrid 10000. The home owner had already sourced a generator that would work with the unit and ISO Energy were installing a 12kW East/West solar array that could feed renewable energy into the EasyGrid battery storage system. This size of off-grid system meant the owner could power all the normal electrical loads for a four bedroomed house, including lighting, media, kitchen appliances and security. ISO Energy were able to install the EasyGrid system and Energy Solutions did a final commissioning visit.